Add Security to your Glove Boxes! 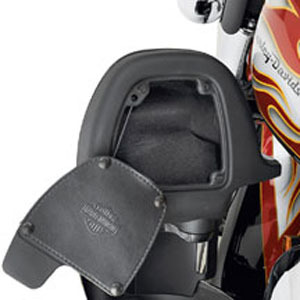 GHB-1: The factory lower fairings on H-D Twin Cooled Rushmore FLH models offer the perfect opportunity to accessorize! 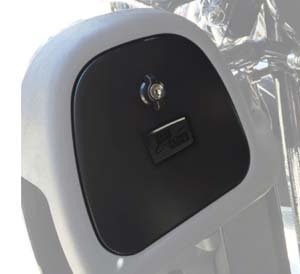 Replace the non-functional O.E.M snap-on flat cover panels with our custom aluminum powder coated LOCK&DOCK lockable hinged door system, quick and TOOL FREE! Fits 2014 - Present Twin Cooled touring models. Black finish cast aluminum lockable door system with full hinge function. 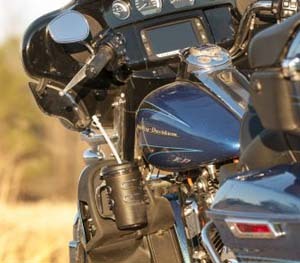 Optional bottle/cup holder and ‘Challenge Coin' mounts available. Tool-less Installation. 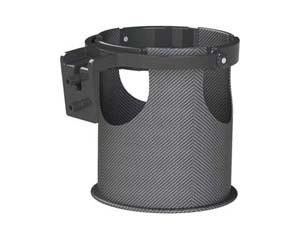 GHB-CH: This is the Cup Holder accessory for our LOCK&DOCK Lower Fairing Door System. Requires purchase of 1 or 2 piece door system. 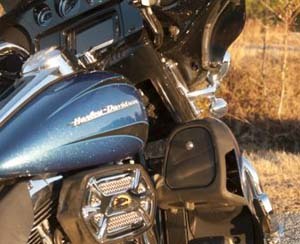 The factory lower fairings on H-D Twin Cooled Rushmore FLH models offer the perfect opportunity to accessorize! Fits 2014 - Present Twin Cooled touring models. GT-1RM: 2014+ Project Rushmore bikes; add secured storage to your fairing lowers. This removable locking glove box door kit replaces provides convenient, weather resistant storage for documents, cell phones, and sun glasses. 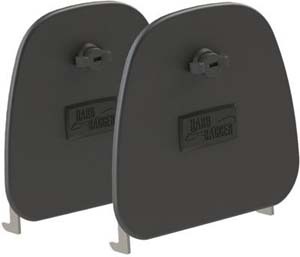 This locking door kit is an ideal companion to the Fitted Glove Box Liner Kit GBL-1R. 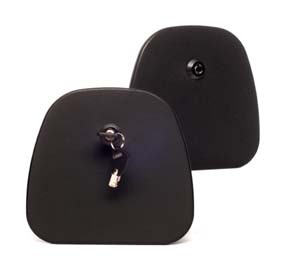 Kit includes left and right ABS locking door assemblies and keys. No drink holder included. 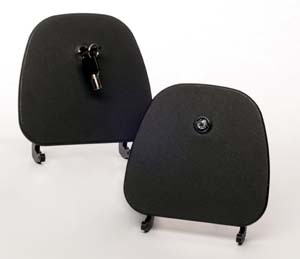 GT-1: Add secured storage to your fairing lowers. This removable locking glove box door kit replaces the Original Equipment flexible snap-on covers, and provides convenient, weather resistant storage for documents, cell phones, and sun glasses. 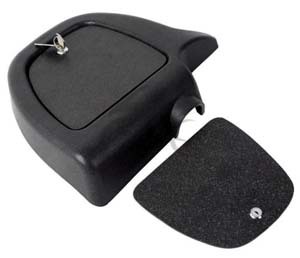 This locking door kit is an ideal companion to the Fitted Glove Box Liner Kit GBL-1 or GBL-1H. 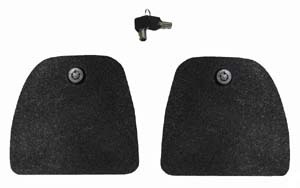 Kit includes left and right ABS barrel locking door assemblies and keys. 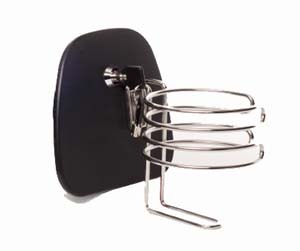 GT-1L: Left side glove box door with cup holder in stainless or black. GT-1E: Economical version of above with flat key locks. GBL-1H: Complement your Sealed Glove Box Doors with a set of Premium Glove Box Liners for your new water resistant glove boxes. 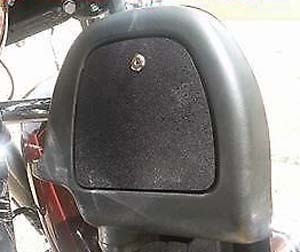 Protect your belongings and reduce noise and rattles on the road. 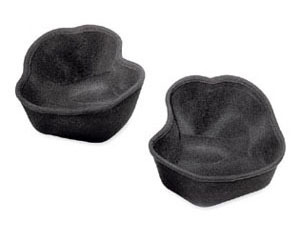 Soft-touch felt-finish liner is formed to the fairing glove box interior for a perfect fit. 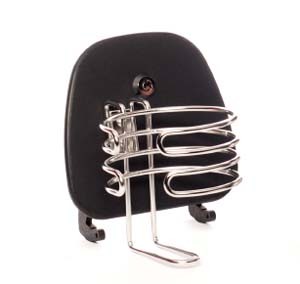 Molded base and sides maximize the interior room, and one-piece design allows easy removal for cleaning and maintenance. 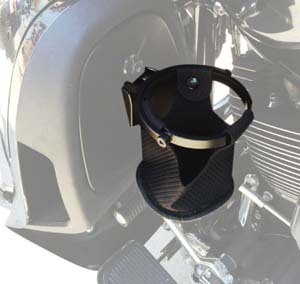 Fits Touring models equipped with Vented Fairing Lowers. 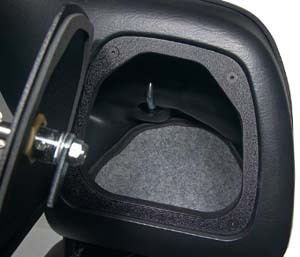 GBL-1: Glove box liners in grey color. 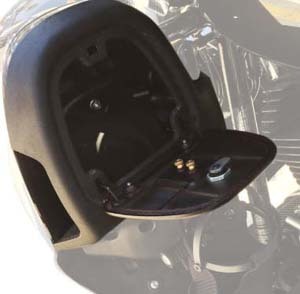 Fit all fairing lower glove boxes.